While playing golf this morning I noticed bluebells through the boundary fence. I decided to go back in the afternoon and photograph them. I used my camera phone, which does give some good results. Thanks to horse racing at Hamilton Park, which is just beside the golf course, I went up to the boundary fence to watch a race and saw an abundance of bluebells in the woods. 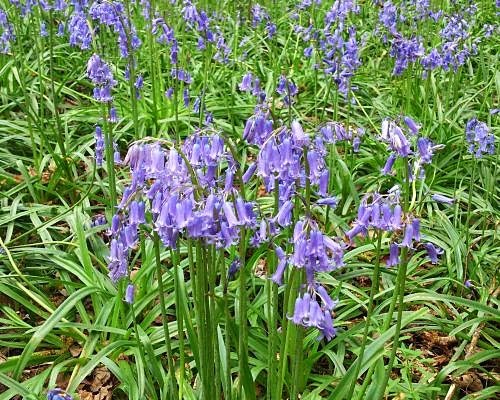 In England they are called common bluebells and are associated with ancient woodland. 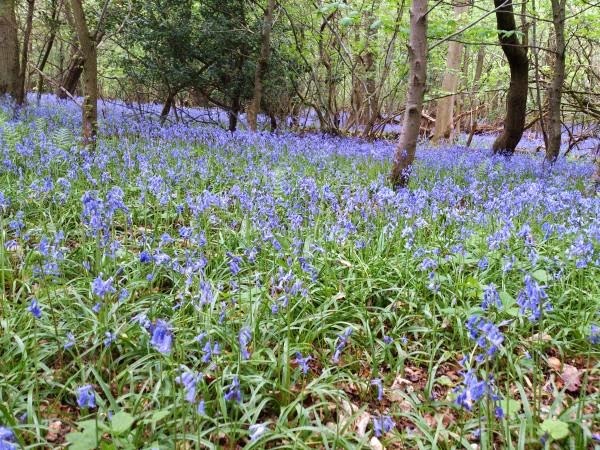 Bluebells only grow in ancient woodland. 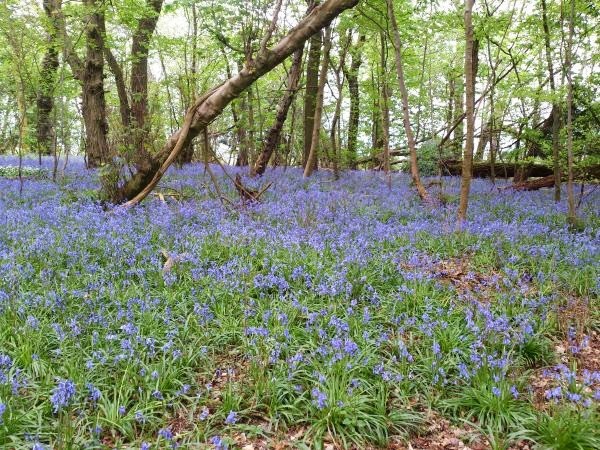 In the United Kingdom, an ancient woodland is a woodland that has existed continuously since 1600 or before in England and Wales and 1750 in Scotland. 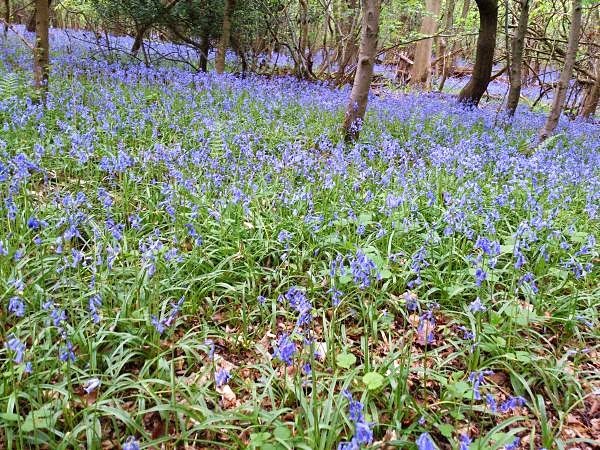 As the photographs above show, the bluebells look lovely and, being in quite a remote area, have not been trampled on. Sadly, bluebells only flower in April and May but they do a spectacular display.